Thanksgiving is coming up, and with my favorite holiday comes also one of my favorite pies. So far I’ve been exceptionally good at buying Pumpkin Pies but I’ve never attempted to make one myself. That needed to change! 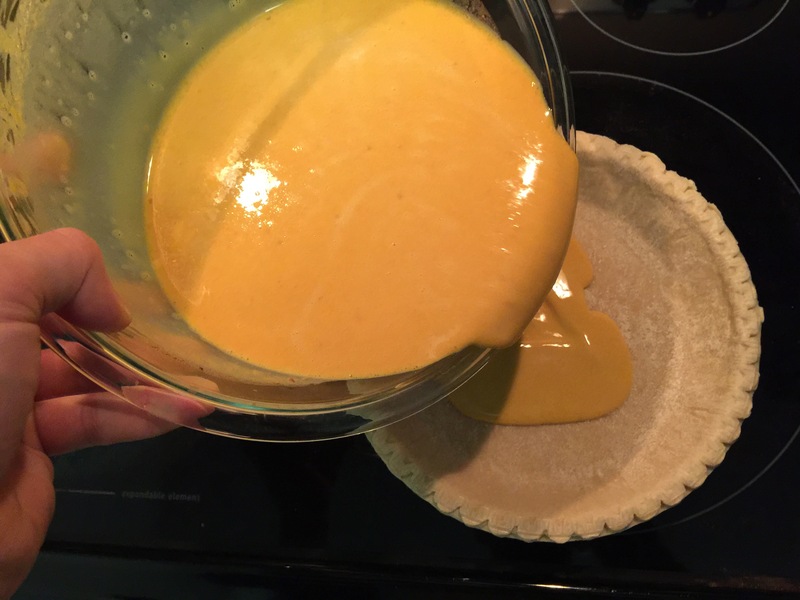 When making a Pumpkin Pie, you can basically do it in two ways. 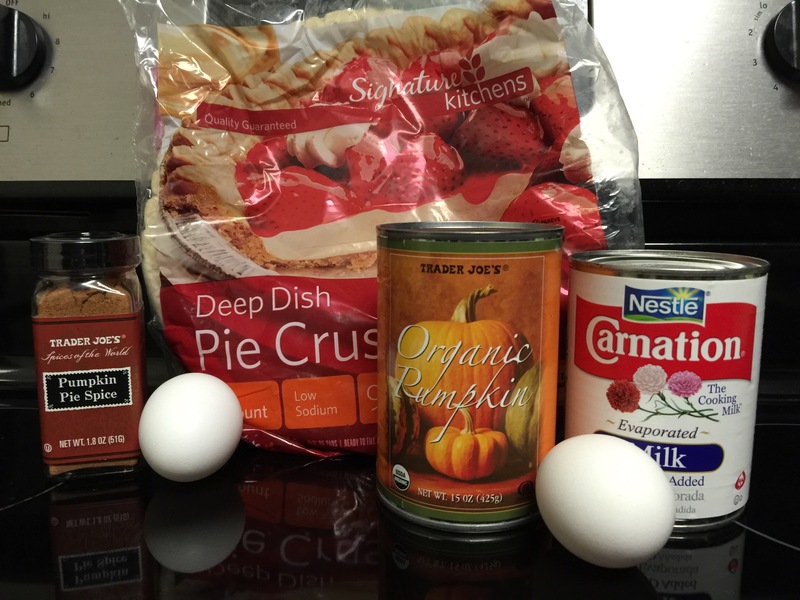 Either you get Pumpkin Pie mix and add cream and eggs, or you make the entire filling from scratch. Well, almost from scratch. I went with canned Pumpkin, which I feel like it is acceptable in lieu of harvesting it myself. 1 can of Pumpkin (15oz). 1/2 cup of whole milk. The step by step is pretty straight forward. 2. 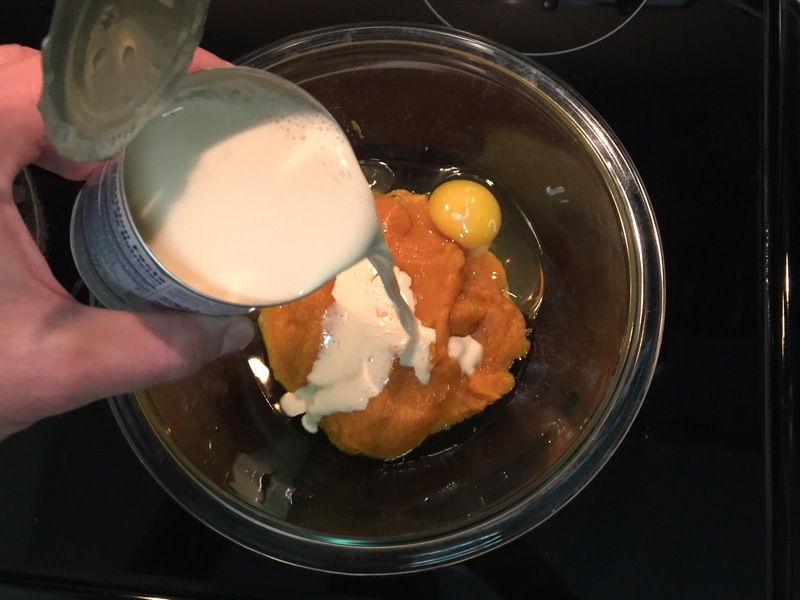 Mix together pumpkin, cream, milk, eggs, brown sugar, pumpkin pie spice blend, and salt. 4. 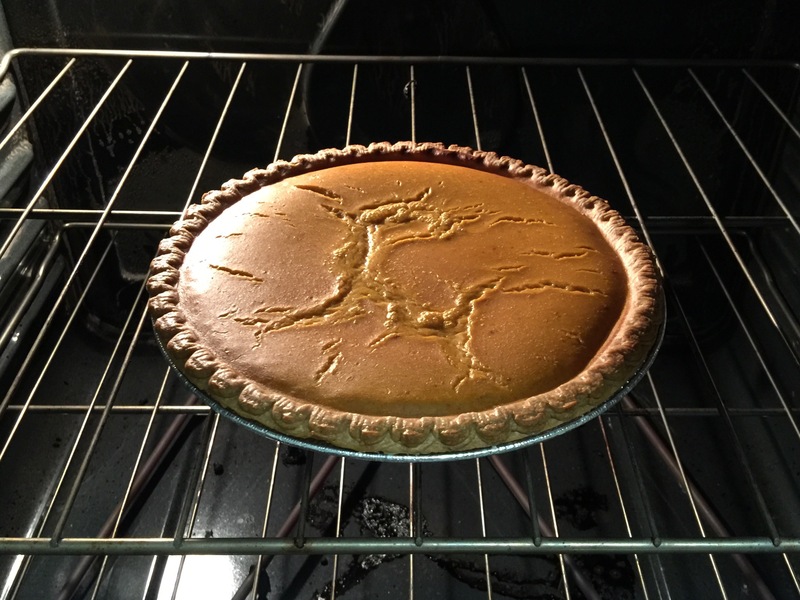 Bake pie in the middle of the oven for 45 to 50 minutes, or until the filling is set but the center still trembles slightly (Filling will continue to set as pie cools). Transfer to a rack and cool completely. In case you have leftovers they can be stored in the fridge, although I doubt they’ll stay there for long. Enjoy!